I've got a new (to me) indie to show you all today. Not only is it new to me, but it's pretty new to everyone. 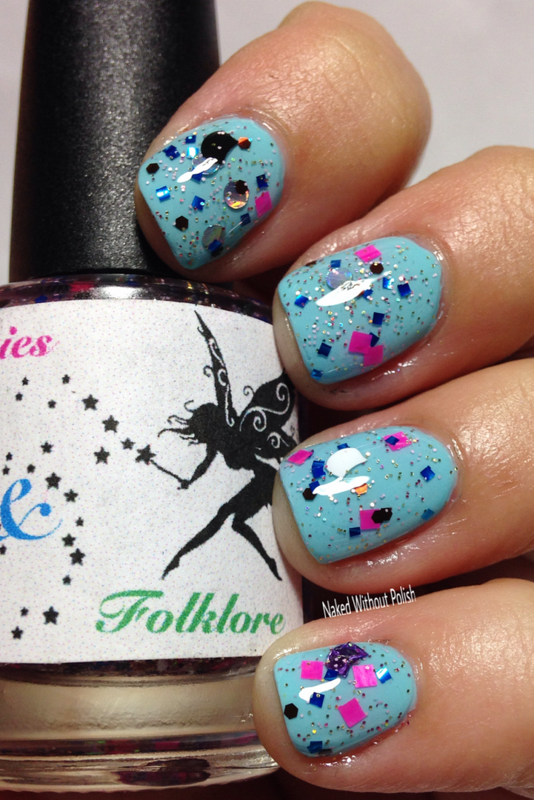 Faeries & Folklore Nail Polish opened up shop in November of 2015. She sent me several polishes to review over the next week. Today, I've got three of them on the blog. The first two are her Some Kind of Equestrian Duo, and the other is a group custom for the fans in her Facebook fan group. 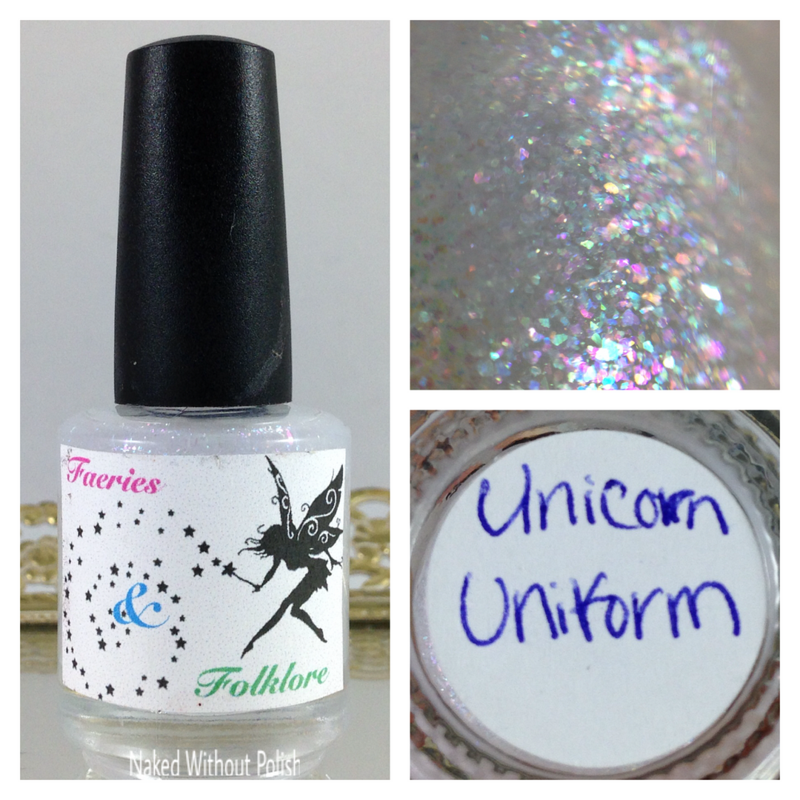 So, go join the fan group, and keep reading to see more from Faeries & Folklore Nail Polish. Kelpie is described as "a black creme". Shown is two coats of Kelpie with top coat. Kelpie is a mythical creature in folklore known as a water spirit. The spirit often portrays itself as a horse, and can seduce people into the water or warn someone of imminent doom approaching. This beauty is deep and dark and absolute perfection! 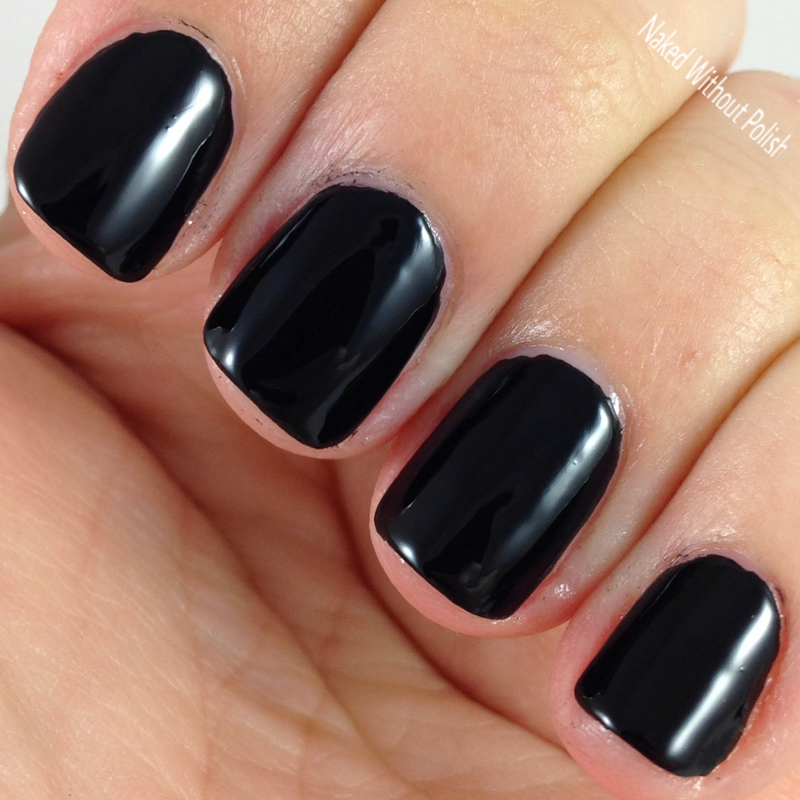 A great basic black cream, it had a smooth application. Almost a one coater, but I did two to be safe. 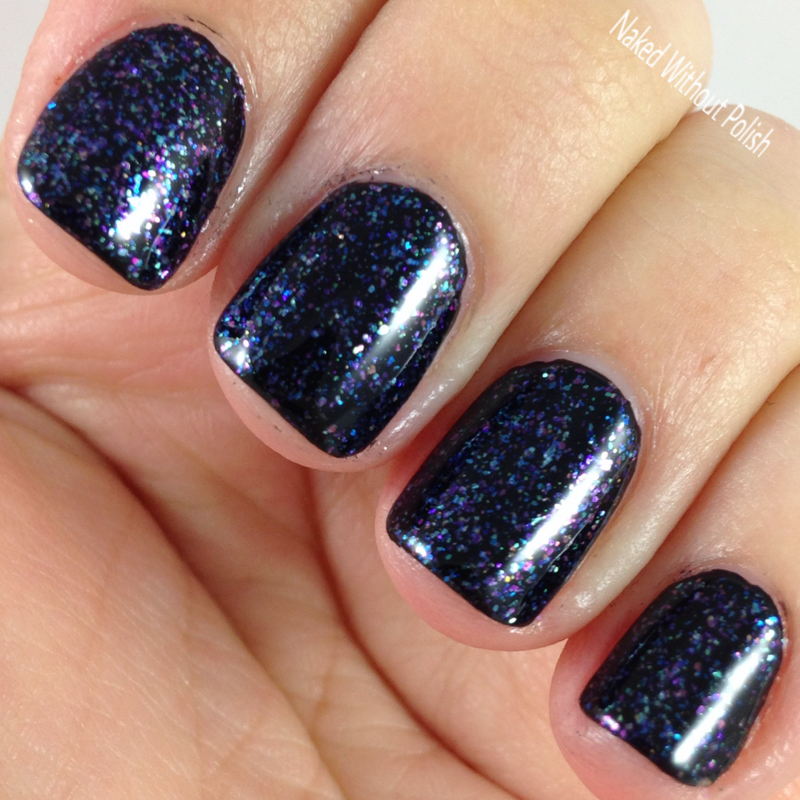 Unicorn Uniform is described as "an iridescent flakie glitter topper with all the colors of the rainbow in unicorn form". Shown is one coat of Unicorn Uniform over Kelpie with top coat. Unicorn Uniform is a topper that everyone is going to want! The smallest amount goes a lot way. Easy application and great formula. 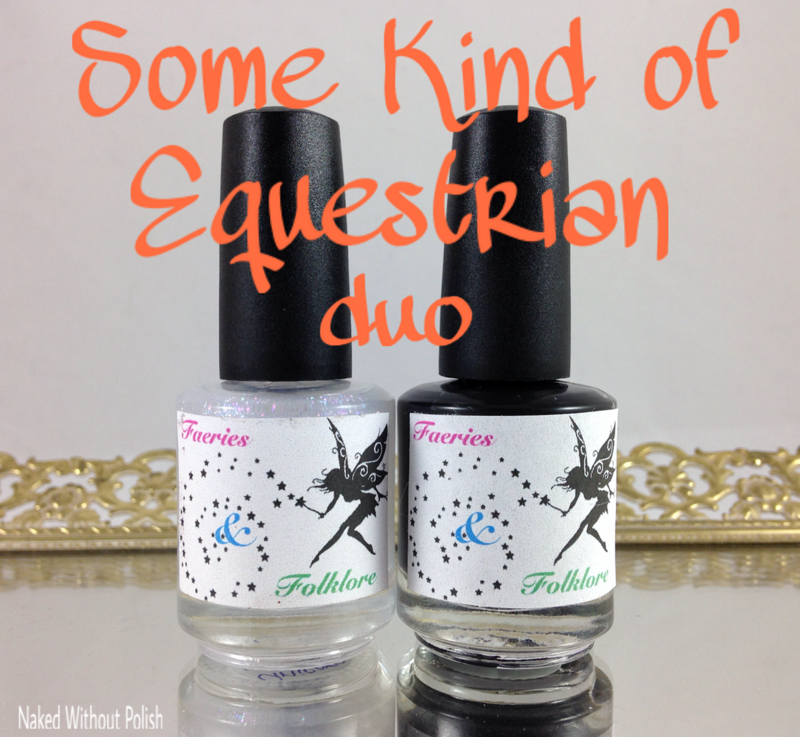 The Some Kind of Equestrian Duo is available now for $16 or individually for $9.50 each. 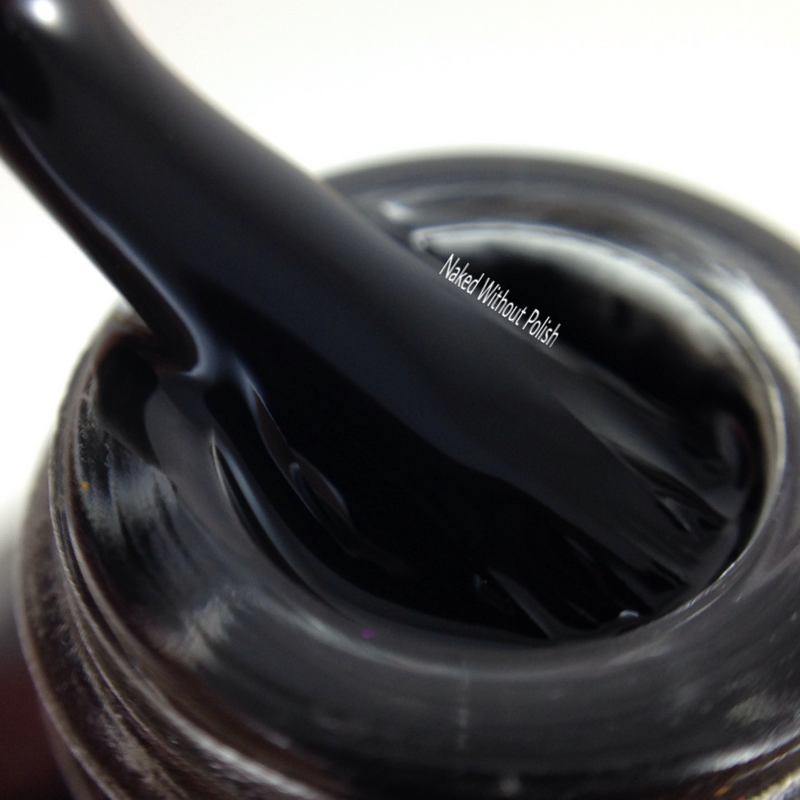 You can't have enough good basic black cremes, and rainbow flakie all the things. You need these! She said the black stamps really well too. I'm not good at stamping so I didn't check, but it's practically a one coater so I don't know why it wouldn't stamp well. In addition to the Some Kind of Equestrian Duo, she's got the Facebook fan group custom...only available to those in the fan group. 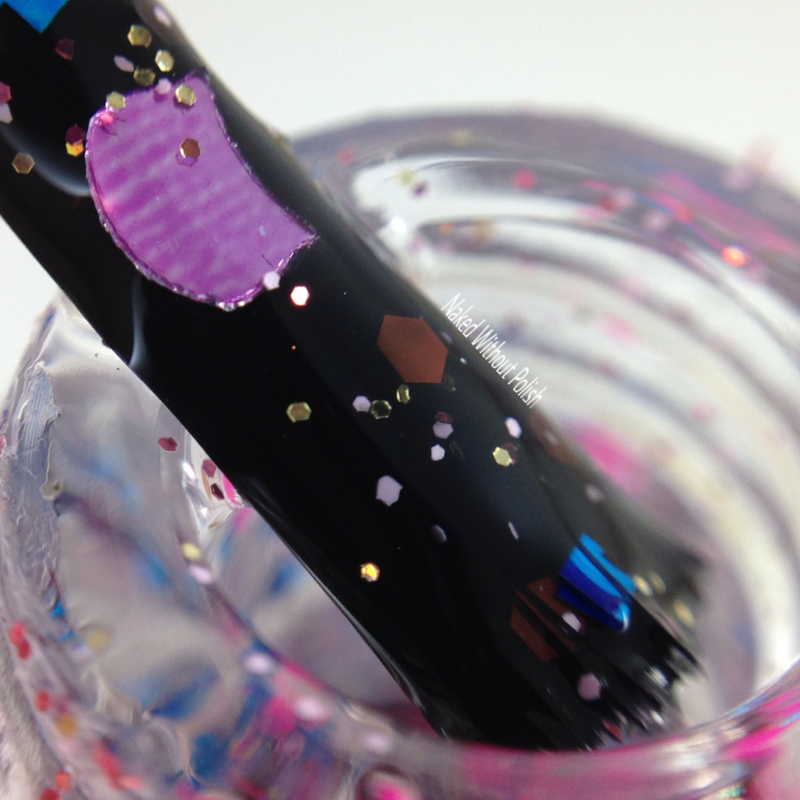 Crazy Cat Lady is described as "a clear based glitter topper with pink cat shaped glitter, neon pink squares, metallic blue squares, pink and gold holographic glitter, metallic brown glitter, and mice shaped glitter". 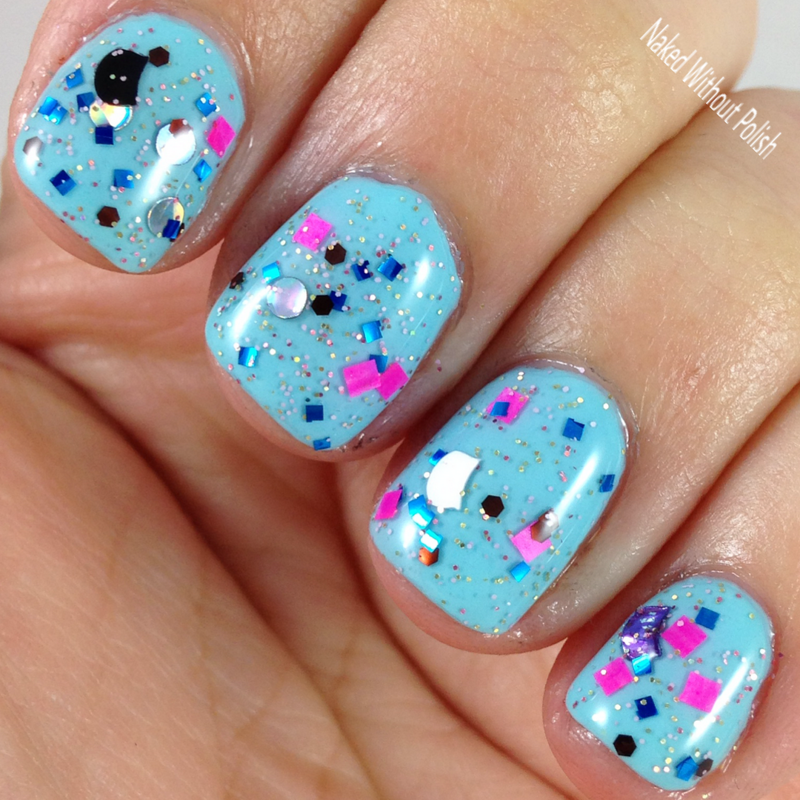 Shown is one dabbed coat of Crazy Cat Lady over a light turquoise blue with top coat. Crazy Cat Lady is so stinking cute!! I may not have gotten any of the mice to come out, but I'm still in love with this beauty. I had to fish for the bigger pieces of glitter, but that didn't matter. It's a very playful topper filled with a lovely combination of glitter. Crazy Cat Lady is available now in the shop, but you have to join the Facebook fan group to get the code. This is only her first group custom, I can't wait to see what else she comes up with. I love that she did something completely different than most group customs. 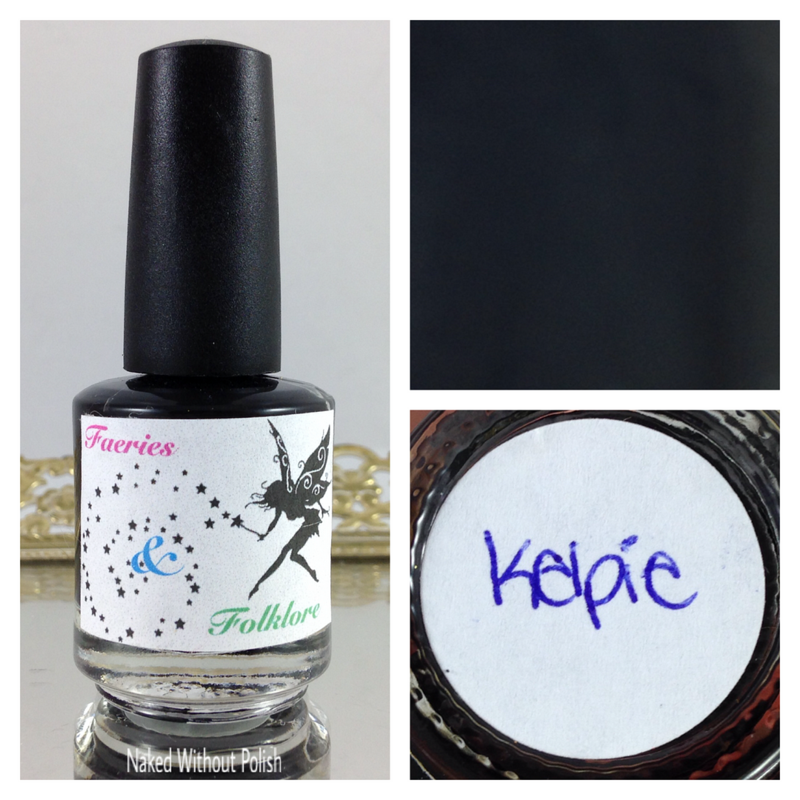 I love everything I've tried from Faeries & Folklore Nail Polish so far. Make sure you follow all of her social media platforms (links below) to stay updated on news, sales, and releases. 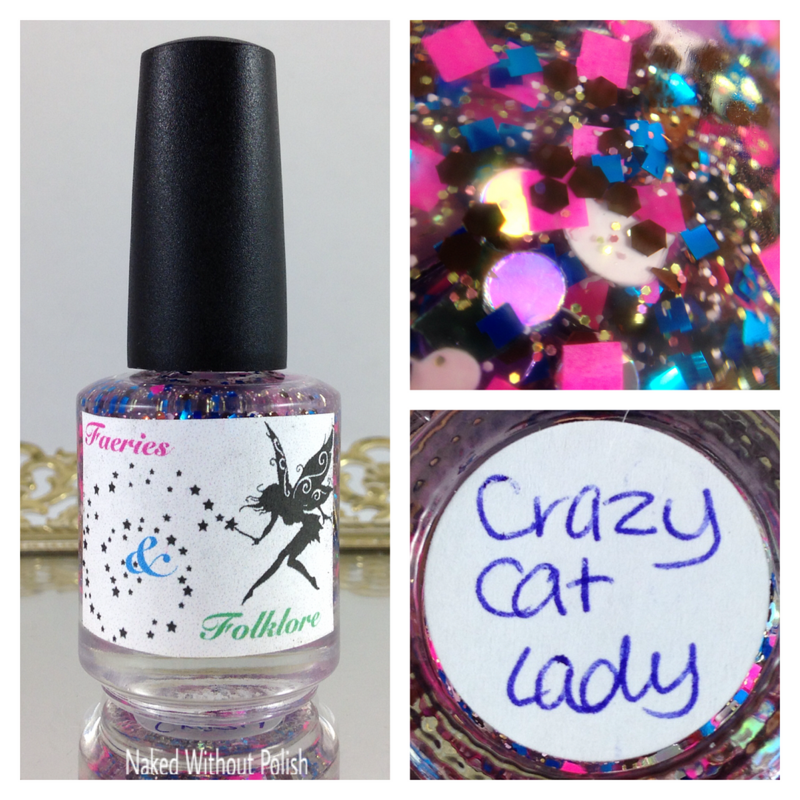 I'll have two more Faeries & Folklore Nail Polish posts up this week so look forward to those. 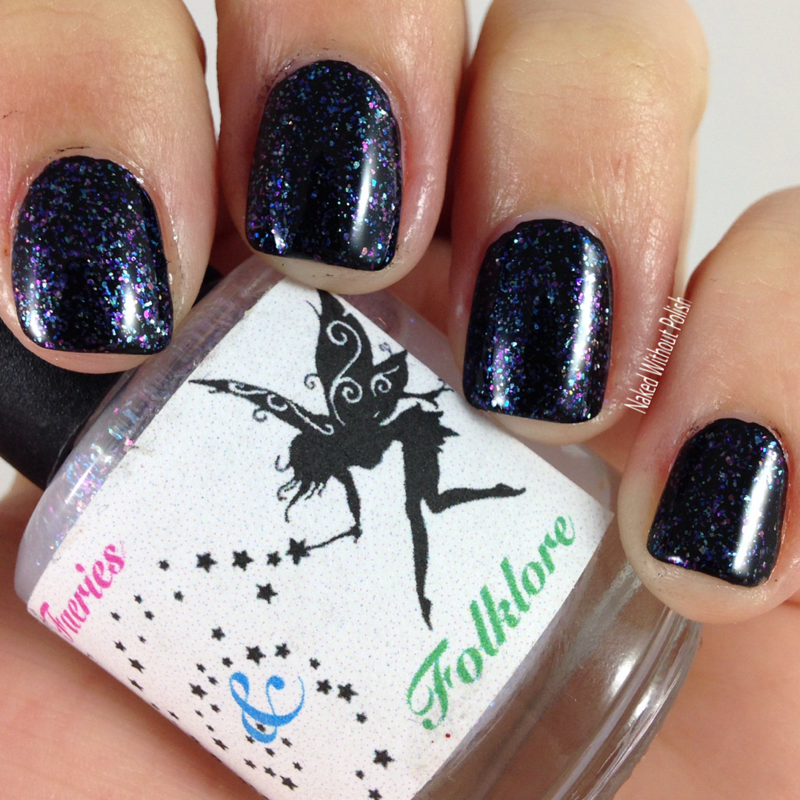 What do you all think of Faeries & Folklore Nail Polish so far?